Your magazine and songs have been a real treasure through the years. Keep it going. Love it. I truly love receiving every issue. Could not live without you! Your company is awesome, and I purchase most of my music/curriculum books from you. Keep of the great work. I have every issue of every volume and they are well loved. You are wonderful. [...] This is such a fast-paced, busy school that I really appreciate your publication. I need it every year. I am a Special Education teacher of Music and Movement. This is my first year in this position, and Music K-8 is a fabulous resource. [...] My students love the music, and I am able to adapt the activities to their abilities. I wasn't sure what it would be like having only the Downloadable version [of Music K-8], so I ordered both. What a bargain! I would not survive without you! You do a great job, and the subscription is an incredible value! I love your magazine. Keep doing what you’re doing, bringing us lots of beautiful music and teaching ideas. 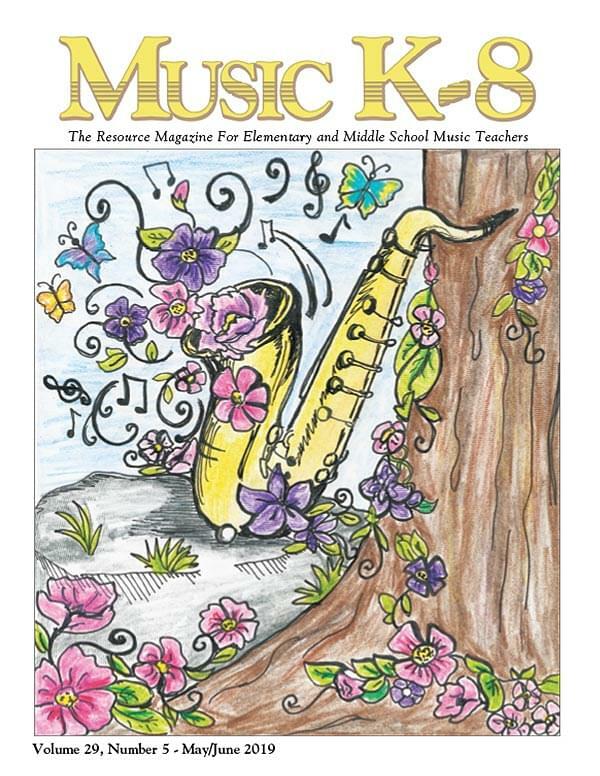 I’ve had to make a decision this year as to what curriculum we’ll be going with from here on out, and because of my experience this year, I can guarantee my recommendation will be a subscription to Music K-8 magazine for a HUGE part of my resources. Thank you from the bottom of my heart for your quality products, kind and courteous staff and integrity as a company. Music K-8 / Plank Road Publishing stands head and shoulders above ALL of the publishing companies I’ve dealt with so far, and I’ve dealt with MANY just in the last few weeks. Customer service such as that you have provided is most uncommon these days! Thank you so much. Seriously, if [I didn’t] have a school budget, I would buy Music K-8 with my own money. It is SO much music, and it's fun and up to date. It will save your sanity. I use your magazine in all my concerts ... and it's always been a wonderful experience because of such great selection of songs in your magazine. Kids love it; parents love it! Thank you for that! Plank Road Publishing is the best thing to have ever happened to elementary music education. I couldn't teach elementary music without you! I LOVE Music K-8 magazine. I have a music textbook but rarely use it, because the music from you guys is SO much better! I have been using Music K-8 for almost 15 years. It is the best resource I have. I use it more than my regular curriculum and all my chorus music. Thank you!